I agree with some of you here, “cardigan” does not sound like the most exciting piece of clothing in the wardrobe. But it is a fashionable way to be warm while remaining stylish. Because it covers the shoulder, back and arms while revealing the layers underneath. 1. How to choose them? Just like a sweater/jumper cardigans come in all kinds of fabrics. 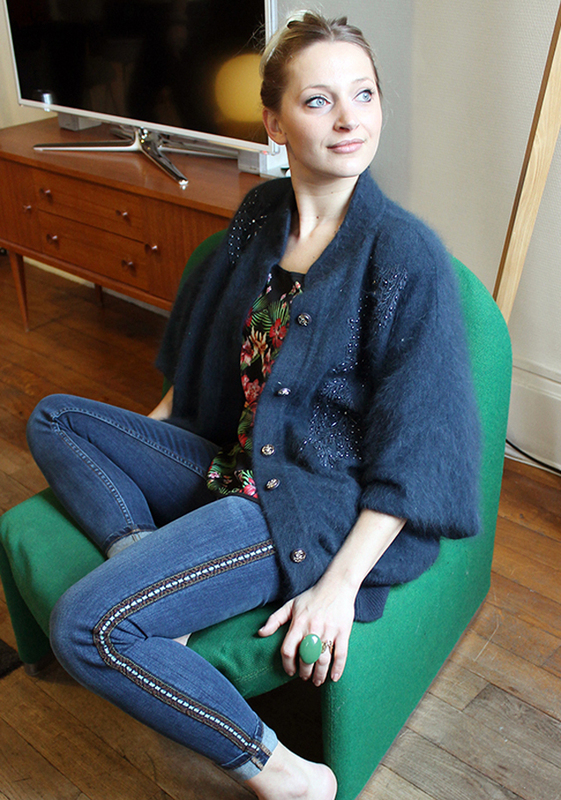 From fluffy angora knits to super thind cashmere and silk blend. Choose them according to the weather and what you are wearing underneath (a thin fabric may reveal the wrinkles for instance). Good news: whereas chunky sweaters/jumpers look bulky on women who are chubby or muscular on the upper body, cardigans suit all bodytypes no matter what their thickness is. Even best: they are very flattering. This is because they create vertical slimming lines on the upper body. For most people the perfect lenght is mid hips or just under the bum. Shorter may make you look square if the cardigan is large. Longer is nice, but more flattering if you are not too petite/short. 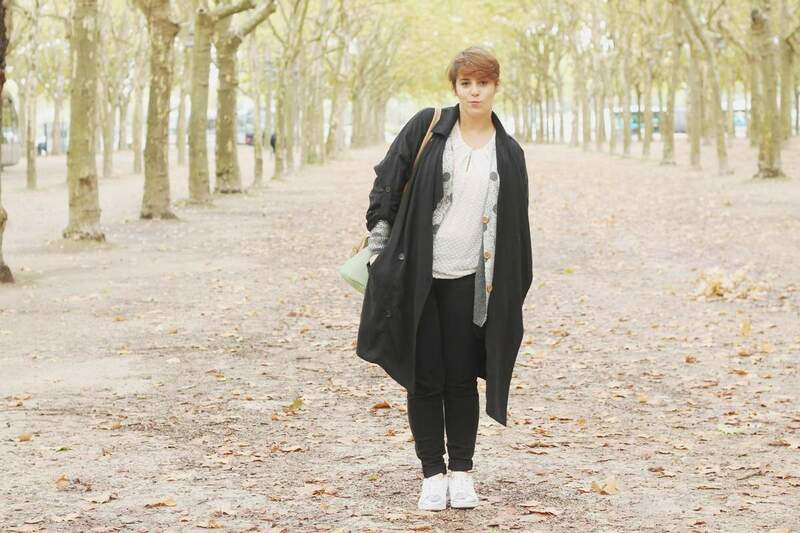 If you have more belly than hips, cardigan is the perfect item to blur this zone. Almost always made of a thin fabric, this one looks very well-behaved. They are exception to what I said just above because they suit overall thin women best (the fabric would stretch on girls with curvy arms/ chest and the thin upper part would contrast with the width of the hips for girls with larger bottoms). I like to wear them with nothing underneath, like a sweater/jumper in other words. You can also wear them open on a top (make sure it doesn’t bulk). But be careful, this type of cardigan may look grannyish because they are not cool . Therefore, make sure to wear them with modern outfits that have the right amount of loose. I also do not personally like this sub blogger trend of belting them. Too classic and often not well executed as the cardigan is too tight and makes the belt look useless. (Sometimes it can work… but not often). 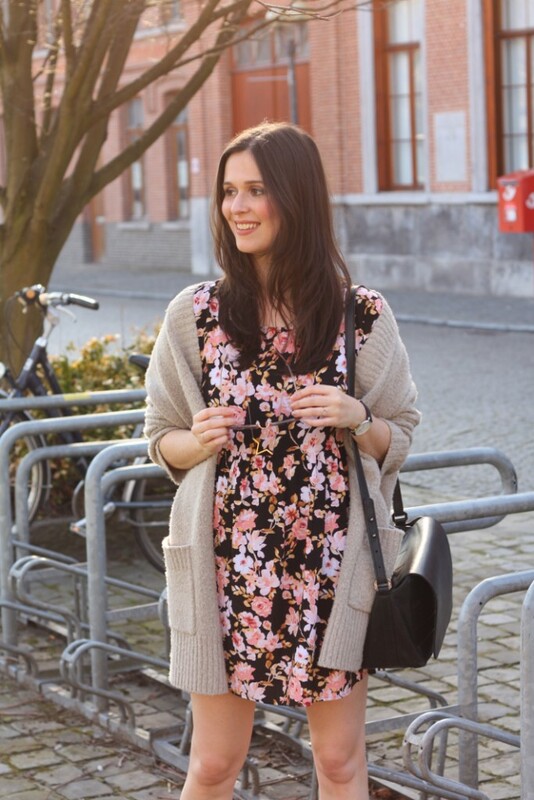 Eleonore Bridge looking super cute with a thin and rather short cardigan. The trick of rolling the shirt’s sleeves over the cardigan makes the outfit look cool. (Ok she is showing the upper line of her tights, but hey, a little imperfection can happen). You could replace the jean shorts with cigarette pants or a mid tights skirt to make this look office proof. Goes from hips lenght to mid-tights lenght. From thin to very chunky. In between is a good choice if you hesitate. This cardigan flatters every silhouette. If you are short, choose them maximum mid tights. I think the best way is to wear them opened over the clothes as a cool and warm layer. If you are curvy on top, open is the best option. You can also close just a button or two. They always look nice worn with tight bottoms to equilibrate the silhouette. No matter what your bodytype is. 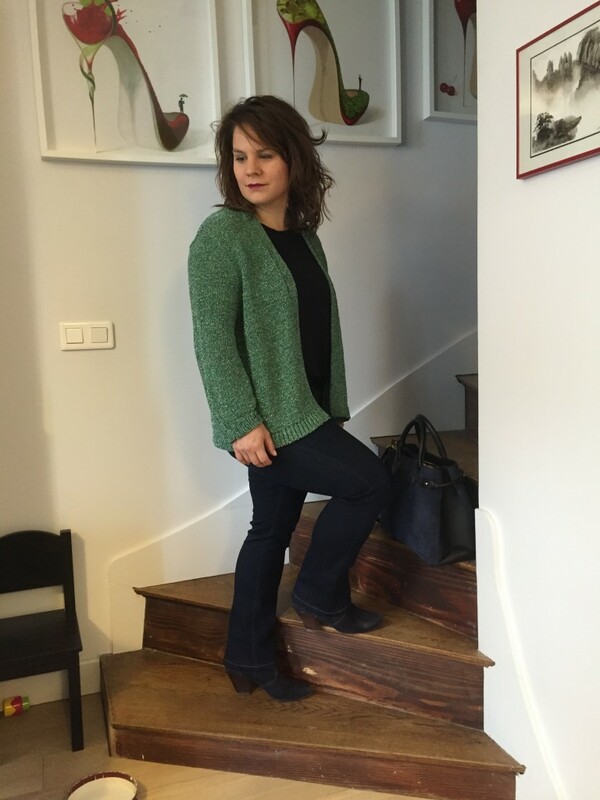 Marion, one of my clients was sweet to send me a pic of her looking great in her shiny green cardigan. Sincerely Jules with a mini skirt. The styling dutchman. Bare legs enter the “tight bottom” category, even when the dress is flowy. Because you get the contrast effect. Thin or/and tall ladies can also try the risky flowy on flowy boho looking combo. (I said or, meaning a curvy and tall girl can pull it out successfully!). Elisabeth on Inside closet. The print mix is also amazing. 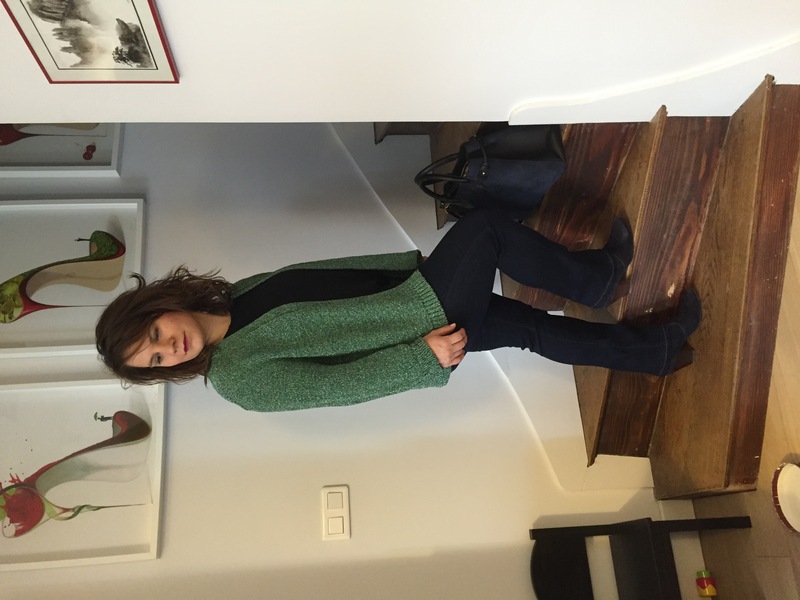 Lots of the above pictures show the cardigan without layer (remember: bloggers wonderland). But in real life, you can of course add a coat on top of your cardigan which is on top of your shirt. Or wear a sweater/jumper underneath. Maddinka, looking cute . 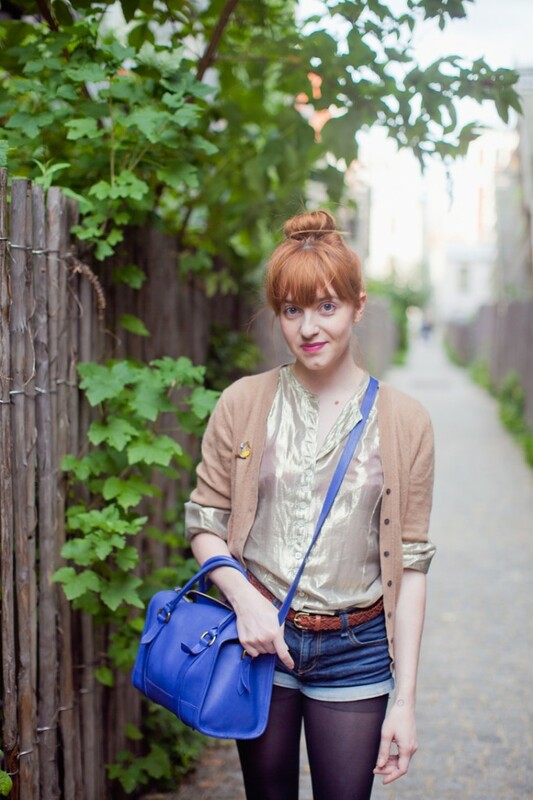 (She was one of my favorite bloggers and passed away this summer. First I was not sure if I should post this. And then I thought that was her job and that is what I loved her for. So I included her outfit in the post). If you go for a mid lenght to long cardigan and have a defined waist, you can belt it to add structure while keeping you warm. The main advantage of the cardigan is that it shows the layer underneath while half hidding it. Time to try on fun things here. Marin print with moutarde on Eléonore bridge (and eggplant and red: just like me she is not that much into the no more than three colors rule). And you? How do you wear you cardigan? 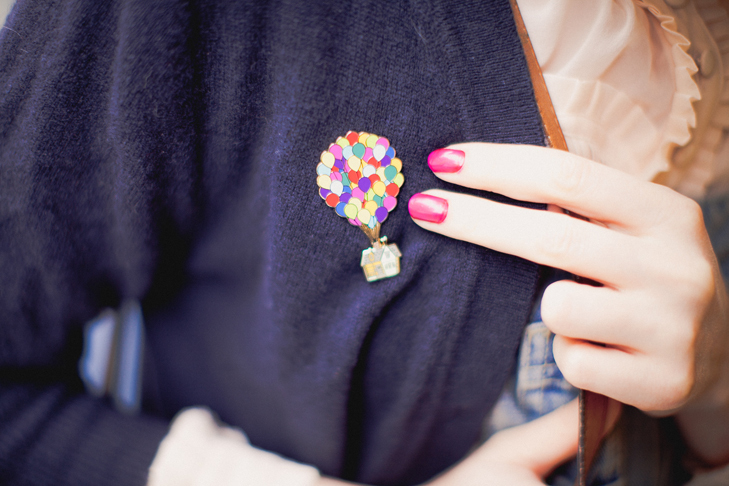 An interesing way to wear a cardigan is wearing the buttons on the back. Works with some V-neck woolen cardis that I have 🙂 But the buttons must be good quality. J’adore votre blog!! Vos conseils sont super, ils m’aident beaucoup. J’aime ce post sur les cardigans, en fait j’en ai acheté quelques-uns tout récemment, de la collaboration entre Uniqlo et Lemaire. Vous avez vu cette collection? J’aime toutes les pièces. Je trouve cette collaboration super réussie aussi! What about this one https://it.pinterest.com/pin/509258670343050698/ and this https://it.pinterest.com/pin/32228953555370226/ ? Do you think they work? Hello, longtime reader here. I really really love your blog and the solid advice that you give! 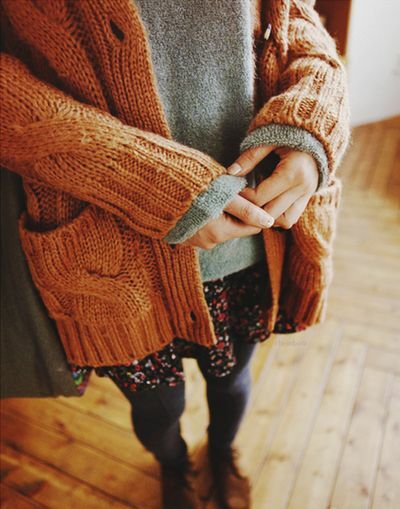 Personally I have a hard time finding shorter cardigans that I like, because the buttons are usually wrong. I can’t explain how, but they can make a really nice cardigan look dowdy. I agree. I often dislike the buttons and prefer cardigans without.